• interact and coordinate other departments working on the same customer? • monitor deadlines of all accounts in the portfolio? • manage and solve conflicts with clients? 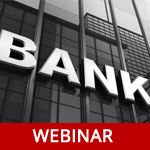 If you are interested in improving efficiency of these works, you’re welcome to watch our SugarCRM webinar “How You Can Improve Efficiency of Account Managers in Any Bank”. Here we show you how account managers can track in a click critical changes and plans by every customer or portfolio.